So many questions? But, don’t worry! Question and more questions are common from the people who have just begun their keto diet. Not just the beginners, but even some seasoned keto dieters find themselves at crossroads while choosing their foods. The rules set by the keto diet – I mean no-carb, moderate amount of proteins, and plenty of fats – might be hard to meet. But what can be even more difficult is to find the foods that meet these criteria! 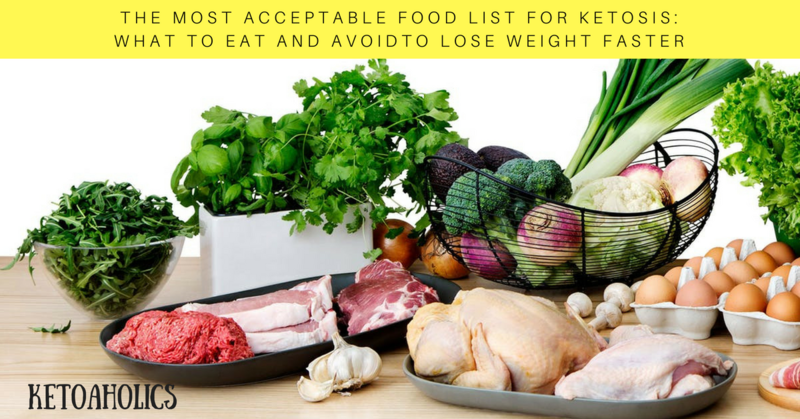 If you are finding it difficult to choose the right foods while on the keto diet, read on to make matters easy with this acceptable food list for ketosis. The foods mentioned below are perfect for your keto diet in the sense they offer the required macronutrients – carbs, fats, and proteins – in the recommended amount and also offer other health benefits! 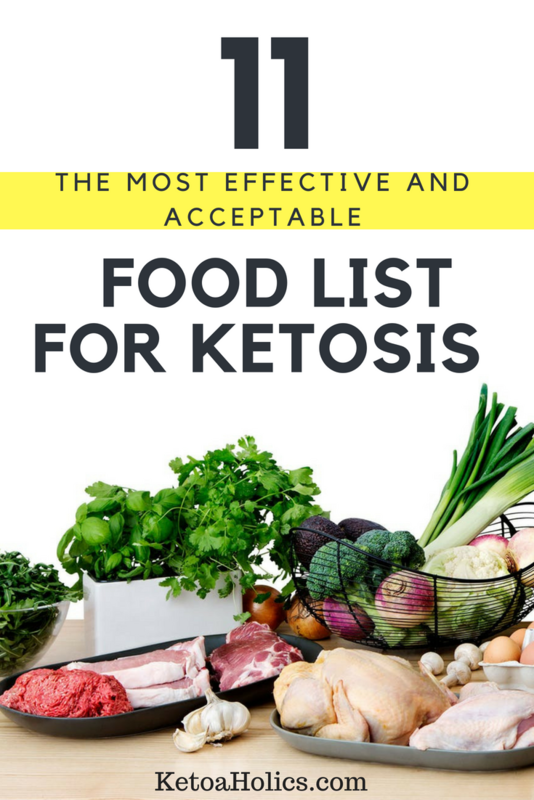 Now, let’s begin with this acceptable food list for ketosis to make sure you eat what is right and avoid what is wrong to lose lots of weight with your special diet! #1 Which Seafood Is The Best for a Keto Diet? 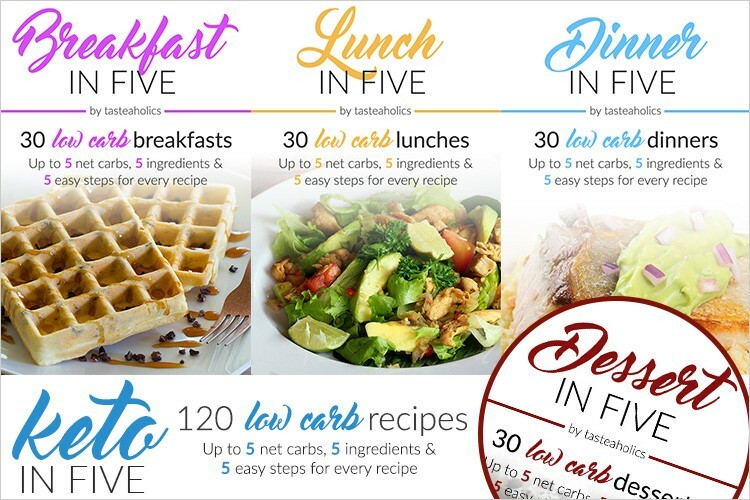 If you have decided to follow a healthy lifestyle and lose excess weight, why not begin this acceptable food list for ketosis with the best keto-friendly foods, the low carb seafood? If you are fond of seafood, you are in for a pleasant surprise! But, be careful while making shellfish a part of your acceptable food list for ketosis as some forms of it contain a higher amount of carbs. Also, if you want to switch to a no-carb diet and avoid eating carbs completely, you can choose shrimp, which is virtually carb-free. Include Mackerel, Salmon, sardines, and other fatty fish in your regular diet as they are very high in the healthy omega-3 fats. #2 Which Veggies Are Safe To Include In My Keto Diet? Most people are not particularly fond of eating veggies. Yet, vegetables form an integral part of our diet and you must not ignore their importance for keeping in good health. 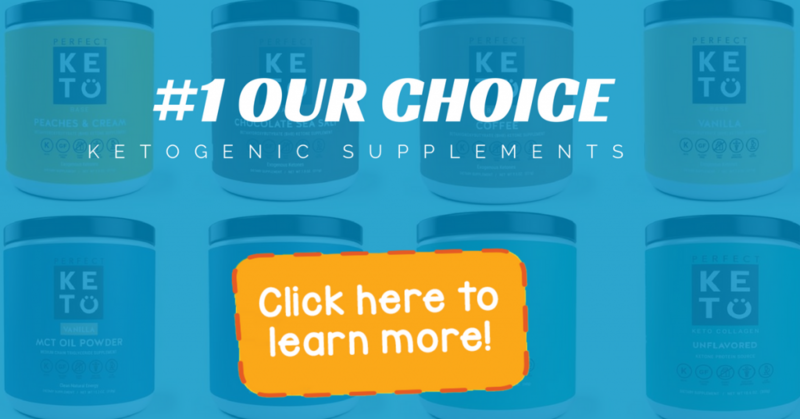 When you are on a keto diet, you can consume the non-starchy vegetables that are low in carbs and calories and high in several nutrients such as vitamin A, vitamin C, iron, and selenium. Vegetables also contain a plenty of fibers, which cannot be digested by your body or absorbed like other carbs. Hence, the net carb content, which indicates the amount of total carbs sans the amount of fibers, of most non-starchy veggies is low. The low-carbohydrate content in these veggies coupled with their strong therapeutic properties will help you stay fit and enjoy the benefits of your keto diet. #3 Should I Eat or Avoid Meat and Poultry? Why avoid meat and poultry when both of these are the perfect staple foods to have on a keto diet? If you are suffering from high cholesterol levels due to your not-so-healthy dietary habits over the past several years, then you have another reason to eat meat and poultry! These foods can lower cholesterol and protect you against complications such as heart attacks and stroke. #4 Eggs? Should I Eat Them? Eggs are considered the most versatile and one of the healthiest foods on our planet. Don’t you think these numbers are enough to make eggs an integral part of your acceptable food list for ketosis? In addition, eggs can also trigger hormones that cause a sense of fullness and reduce your calorie intake. Here is another important aspect of eating eggs on a keto diet. Hence, always eat the entire egg! #5 Are We Forgetting Coconut Oil? Yes, of course! How can coconut oil be missed from the acceptable food list for ketosis? After all, coconut oil has several unique properties, which make it the best-suited food to include in your keto diet. 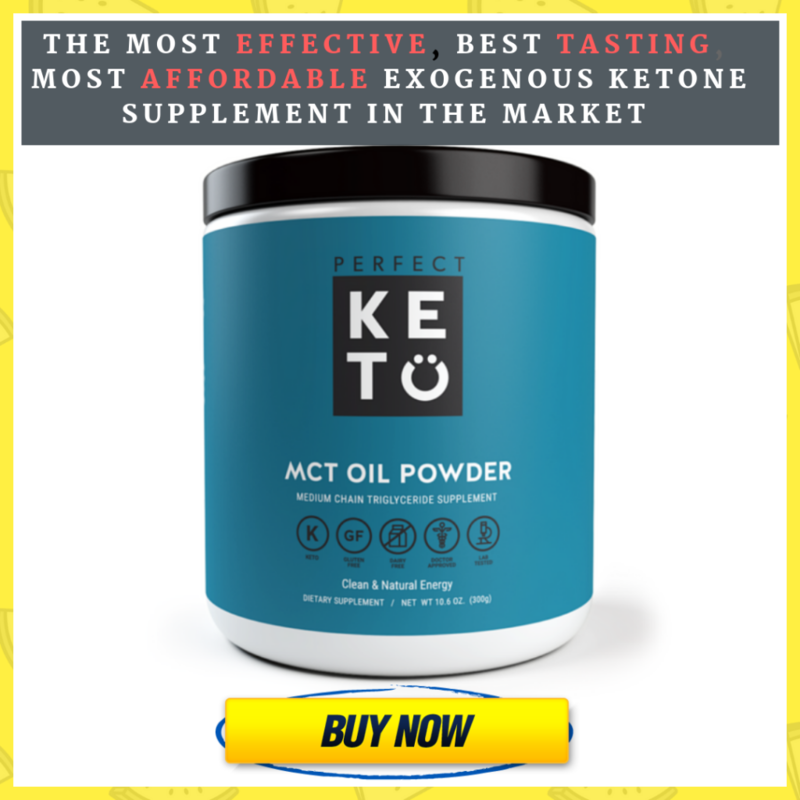 To begin with, coconut oil contains MCTs or medium-chain triglycerides, which, unlike the long-chain fats, are taken up by the liver directly to be converted into ketone bodies or used up rapidly as energy. Now that we have discussed coconut oil and its importance for your keto diet, why not also take a look at olive oil? If you are thinking whether to include olive oil in the acceptable food list for ketosis, take a look at the impressive benefits it can provide. In addition, the extra-virgin olive oil contains antioxidants like phenols that can prevent inflammation and improve the heart function. Being a pure source of fats, olive oil is free of carbs making it an ideal base for the salad dressings and for preparing healthy mayonnaise. However, since olive oil is not stable at high temperatures, use it only for low-heat cooking. You can also add it to the dishes after they have been cooked. #7 I Love Cheese, Can I Eat It While on a Keto Diet? Yes, do eat cheese as it is not just delicious, but also highly nutritious! Fortunately, all forms of cheese are very low in carbohydrates and high in healthy fats making them a perfect fit for the ketogenic diet. This would not just support your efforts to get into ketosis faster, but also protect your bones and teeth with its high calcium content. With so many benefits and a great taste, I don’t see any reason to not include cheese in your acceptable food list for ketosis. It’s definitely in! #8 Is it OK to eat Plain Greek Yogurt? Plain Greek yogurt, just like cheese, is healthy and high in proteins. It also contains a very less amount of carbs and hence, can be included in your new ketogenic lifestyle. Yogurt can also help you to lose weight faster by controlling your appetite and promoting the feeling of fullness. #9 Which fruits are ideal for a keto diet? To answer in one word, berries! We know that fruits are high in carbs, but not berries. Berries such as raspberries and blackberries contain a low amount of carbs, but a high amount of fibers. These fruits are loaded with natural antioxidants and hence, credited with controlling inflammation and reducing the risk of cancer and several other diseases. #10 What about Avocados? Are they keto friendly? Yes, Avocados are incredibly healthy. And when it comes to the carb content, they pass with flying marks! About 3.5 ounces or a half of a medium-sized avocado provides only 9 grams of carbs of which 7 grams are fibers. Hence, if you want faster results for getting into a perfect shape, make sure you eat avocados daily. Nuts and seeds are high-fat, low-carb sources of foods and hence, perfect for your keto diet. Flaxseeds: 0 grams of net carbs and 8 grams of total carbohydrates! Following a keto diet is easy when you have this acceptable food list for ketosis with you. 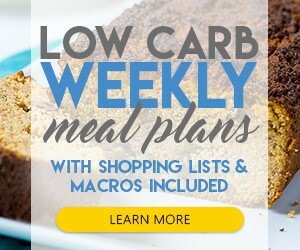 Now that you have learned the foods that meet the unique demands of a keto diet, make a list of it and stick it in your kitchen. Stock the shelves with these foods so that you are never short of what it takes to get into ketosis and lose weight.